CAGE 40 goes down this Saturday at the Helsinki Culture House. 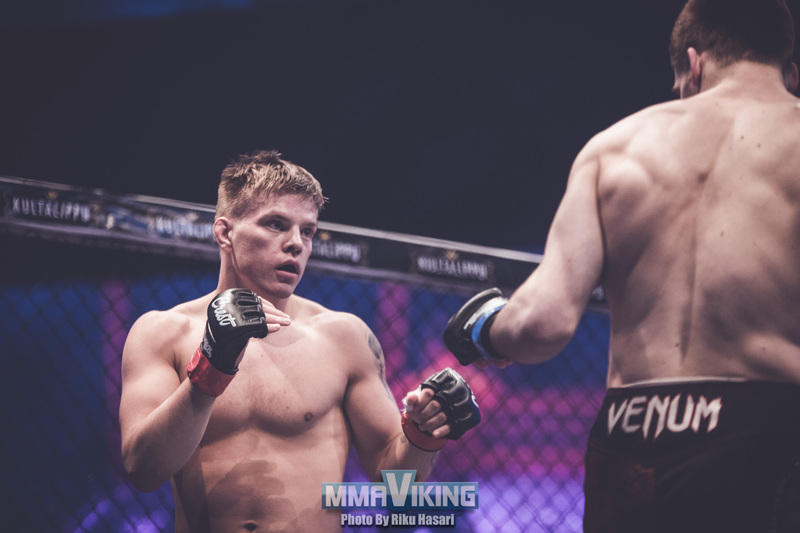 The 7 fight card is headlined by Finn Joni Salovaara (17-9) taking on Victor Marinho (10-4) with a much anticipated co-main event with a Finn versus Finn battle of Mikael Nyyssönen (9-3) and Patrik Pietilä (8-5). 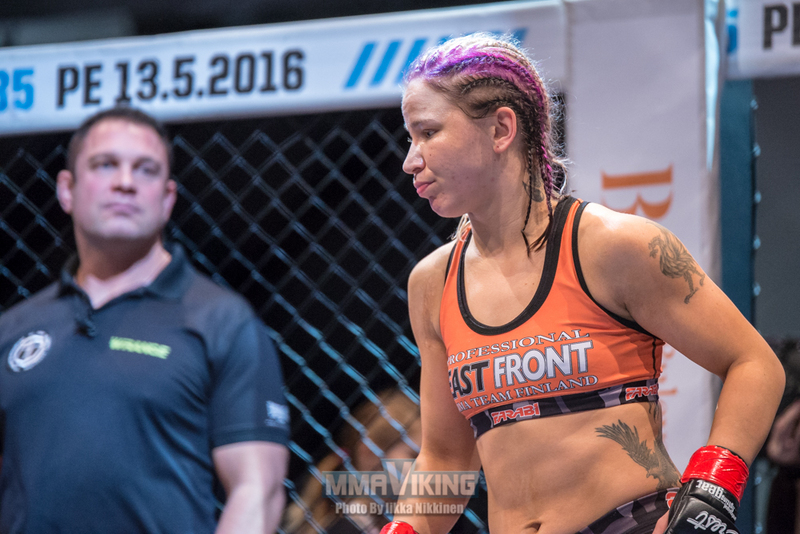 It will be the twelfth time that Salovaara has competed under the Cage MMA banner. 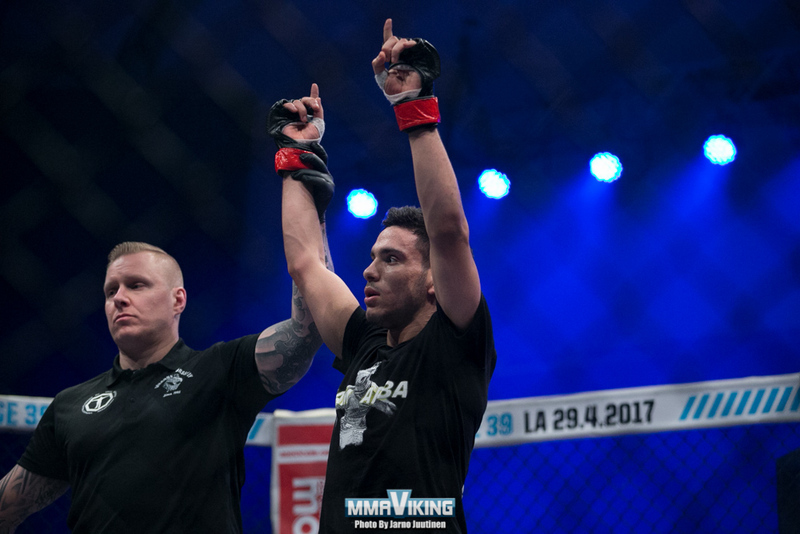 The thirty-one year old defeated Bulgarian Kostadin Enev at CAGE 39 in April following his loss to Sweden’s former UFC featherweight Niklas Backstrom at CAGE 37 in November 2016. The fighter out of Portugal out of Art of Fight looks to have a solid boxing background with good head movement and an aggressive style, which should make for an entertaining final fight of the evening. The Finn should have the advantage in size, as the 28-year old fought as low as 126 lbs back in 2014. The 30-year old Tampere native Nyyssönen has a good opportunity to get back on track with a win here as he has stumbled in the last three years by going 2 wins and 3 losses. The Finn still has an impressive record of 9 victories and 3 defeats. 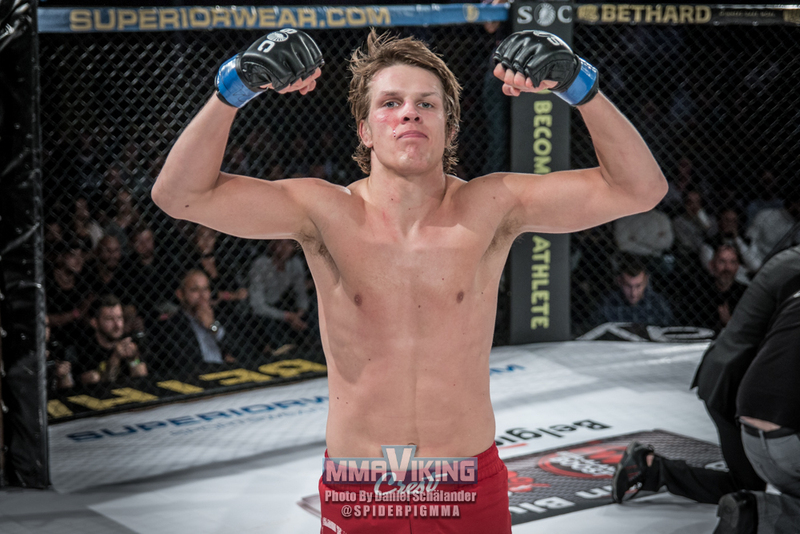 He won his first 7 fights of his career and won MMA Viking’s Nordic prospect of the year in 2014. 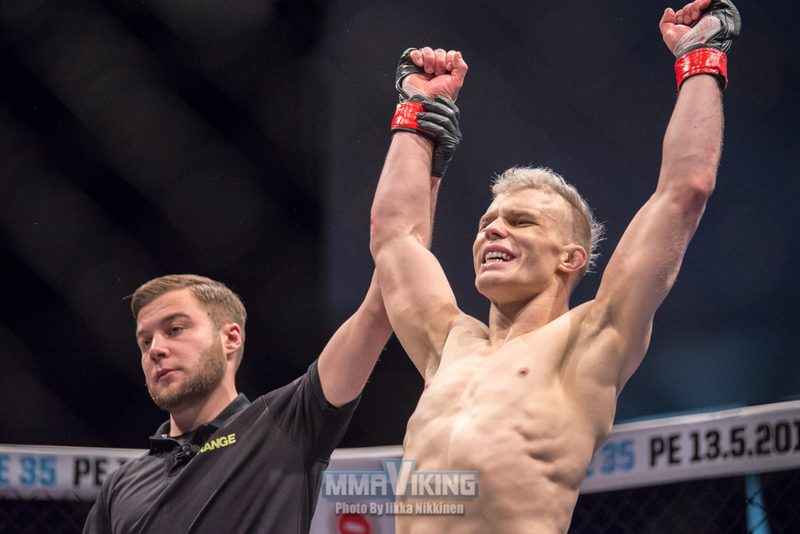 The 28-year old Pietilä based in Lahti just had a 4-fight winning streak stopped at M-1 Global in Helsinki. The Finn has an overall record of 8 victories and 5 defeats, and learned a lot from his most recent submission loss. The hope is that the bout hits the ground as both fighters are more confident in their ability to have the advantage. This could be fight of the night as the two dual in front of their home country fans. 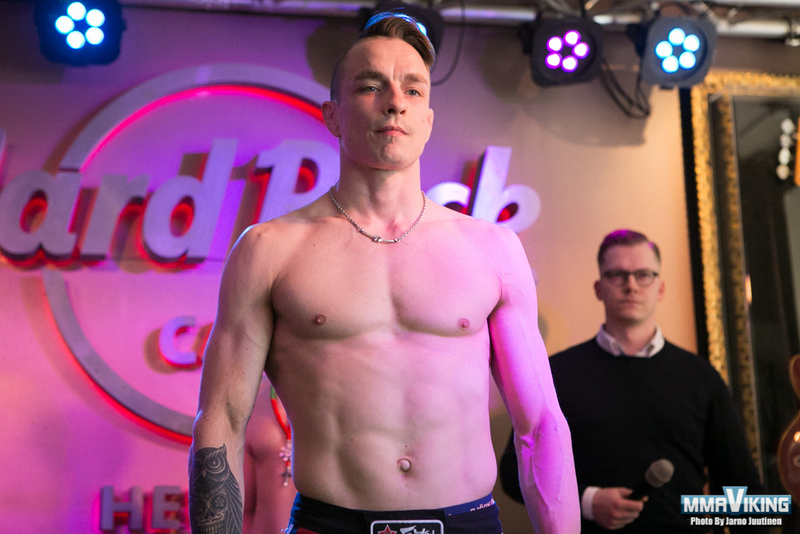 Another Lahti based fighter Aleksi Toivonen (4-1) is also featured the card. 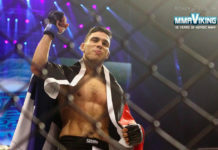 The dangerous grappler won his first four fights of his professional MMA career before losing in April at CAGE 39 by TKO to Russian Oleg Lichkovaka. “The loss taught me the hard way that You can’t lose focus even for a split second in a fight. A mistake like this will not happen again. It was big disappointment.” says The Giant. Opponent Oleg Mykhayliv does have over twice the pro experience, but doesn’t look to have a specialty to have the advantage over Aleksi. Suvi Salmimies (7-4-1) will face France’s Zarah Fairn (4-2). The two were set to face each other back at NFC Fight Night 2 in May, but the bout did not happen. “Fairn is really tall and has long reach. I’ve prepared to fight her once before, but that time the fight didn’t happen because of an injury. She has hard straight punches and at least one of her opponents had a really messed up face after a fight that went the distance. My style and approach against a opponent like Fairn is completely different. I am much better in movement, but I have to respect that long reach. I think that I am going to have to make the standup fighting ugly and aggressive in order to cover the distance” says the Finn. Tuukka Repo (3-1) is back in action. The 2015 IMMAF World Championship silver medalist will face undefeated Vitezslav Rajnoch (6-0) from the Czech Republic. The Finn should have the advantage when he gets it to the ground, but could be dangerous against the Czech fighter when standing. Repo has had all his pro bouts with the Cage promotion, and will be looking for his second straight win following his last outing at Cage 39 in April. The Hardknocks Helsinki fighter won by unanimous decision over Russion Dmitry Berezin. Overall he has a 3 win and 1 loss record. 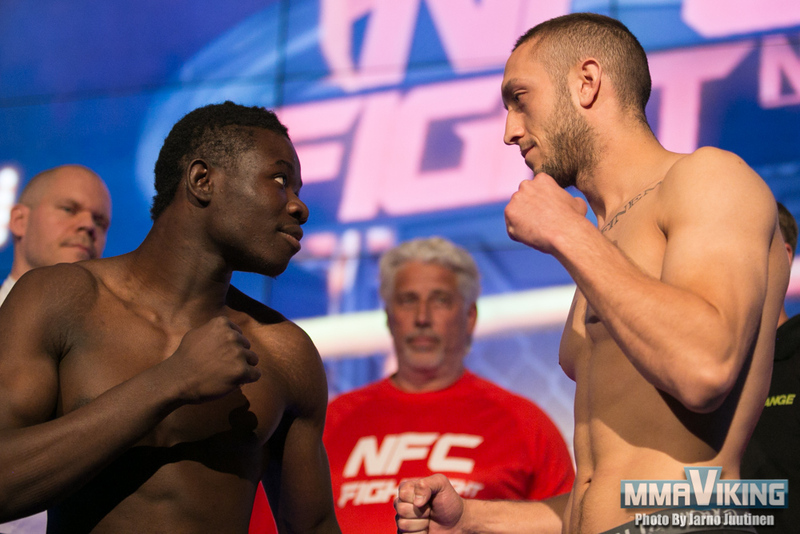 Edward Walls (4-2) is trying to make a name for himself in the featherweight division. The MMA Lappeenranta fighter has won his last four out of five bouts, and looking to make it two in a row against Russian Artur Aliev (3-1-1). 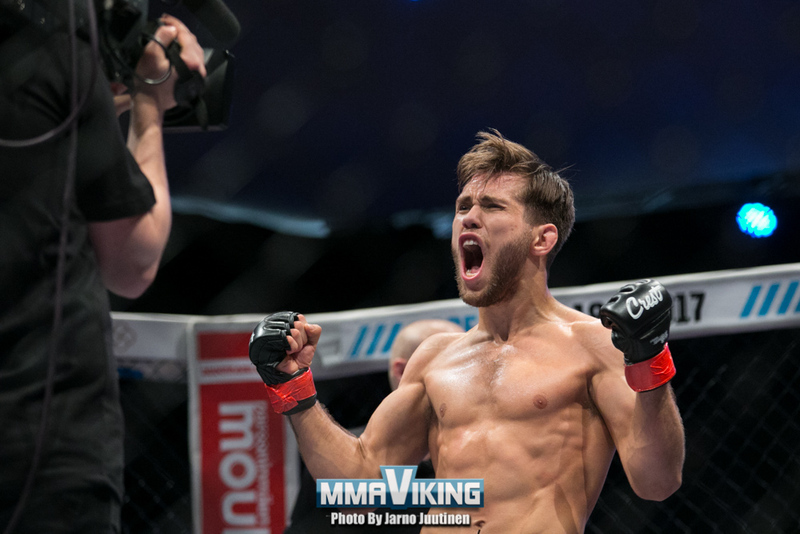 “The opponents doesn’t matter because at the end of the day, I am overcoming my own physical and emotional boundaries which will automatically lead me to success.” says Walls that is set to kick-off the CAGE 40 card this Saturday night in Helsinki. 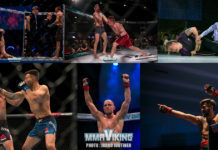 MMA Viking will be live in Helsinki for the bout, so come back for live reporting and photos. Note : Jarno Juutinen contributed to this article.